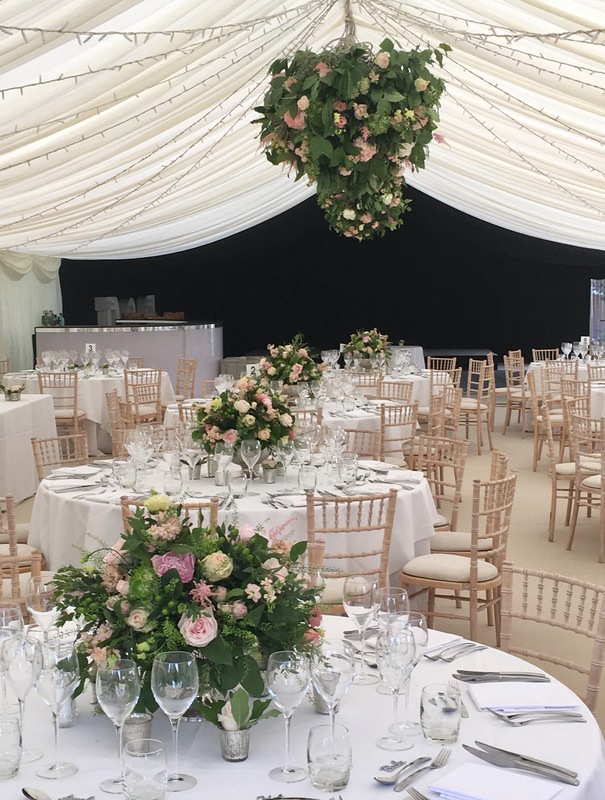 Sam and Rhiannon's beautiful lakeside marquee in Moreton, Oxfordshire - Joanna Carter Wedding Flowers | Oxford, Oxfordshire, Berkshire, Buckinghamshire and London. 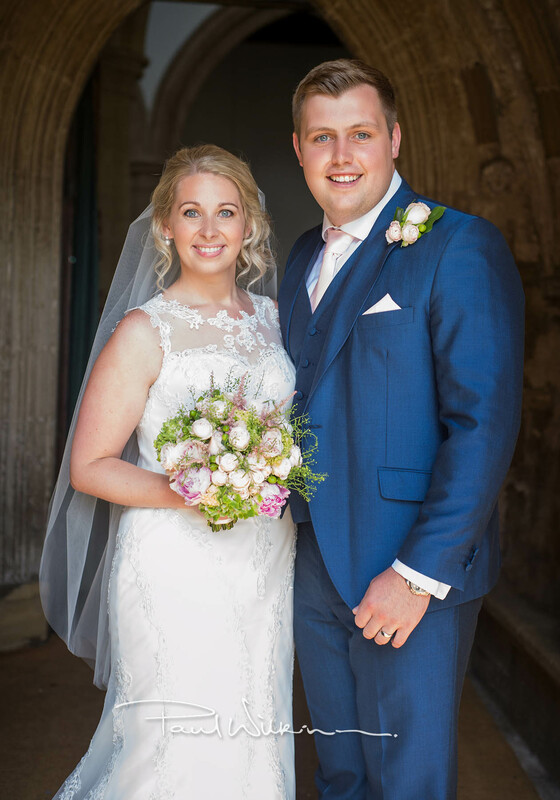 Every one of the weddings we work on is special but when the groom Sam, the son of one of our team married his beautiful girlfriend Rhiannon, it had to be extra special! 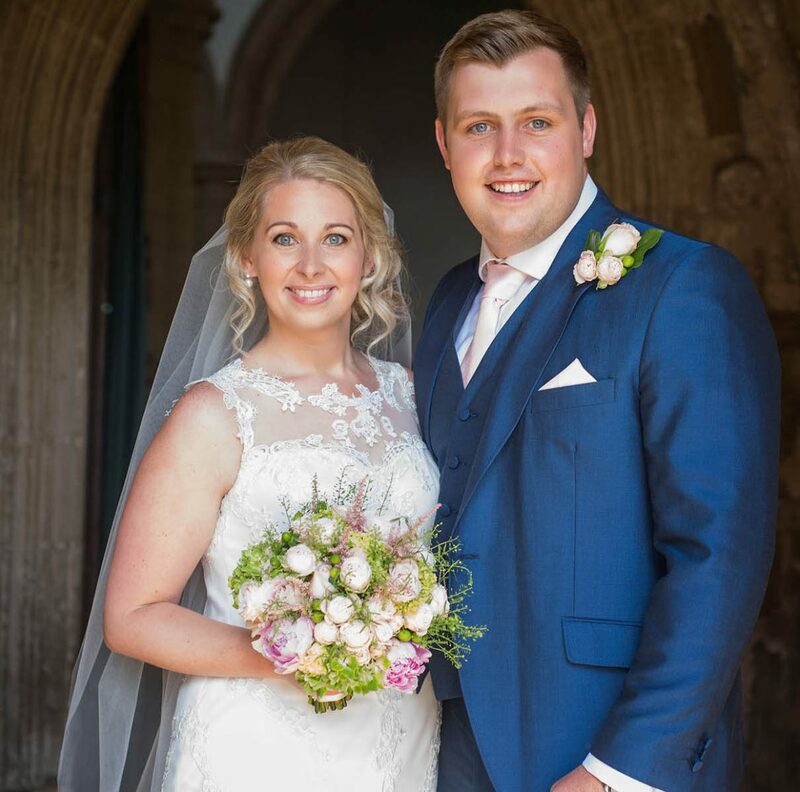 Rhiannon and Sam were married in St Mary’s church in Thame on a blisteringly hot July day surrounded by friends and family. 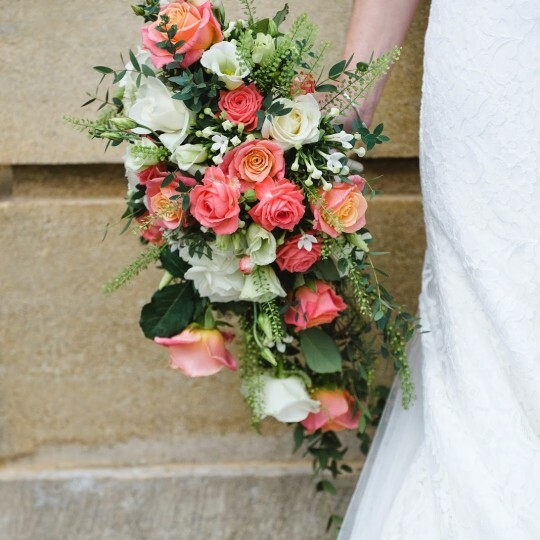 Rhiannon chose a lovely mixed pastel scheme for her flowers with soft blush pinks, warm peaches and touches of lime green. 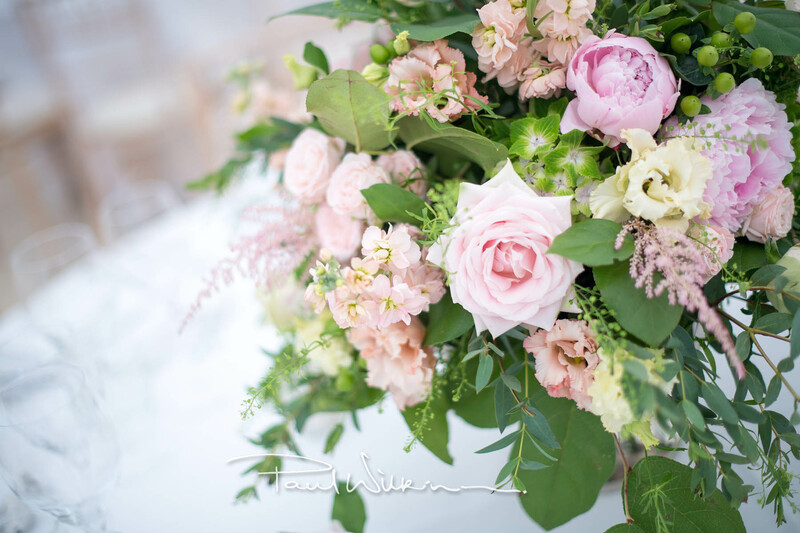 It was a perfect mix of midsummer colours and looked great in both the church and the marquee. 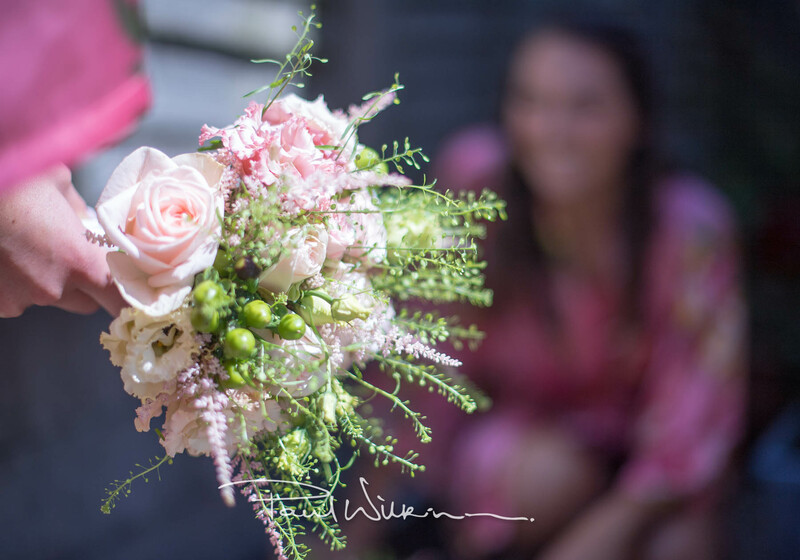 We were able to source Rhiannon’s favourite peonies and included them in the bridal bouquet and the table centres. At the church Sam and Rhiannon had large urns at the top of the aisle and an eye-catching garland along the rail where they stood for their vows. 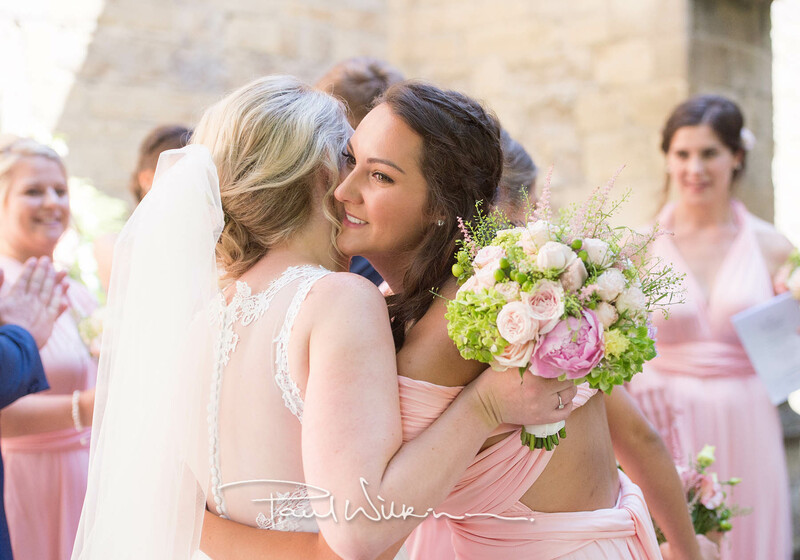 The bridesmaids carried posies of blush pink roses, apricot lisianthus, lime hypericum berries, astilbe and thlaspi which toned perfectly with their peachy pink multiway dresses. 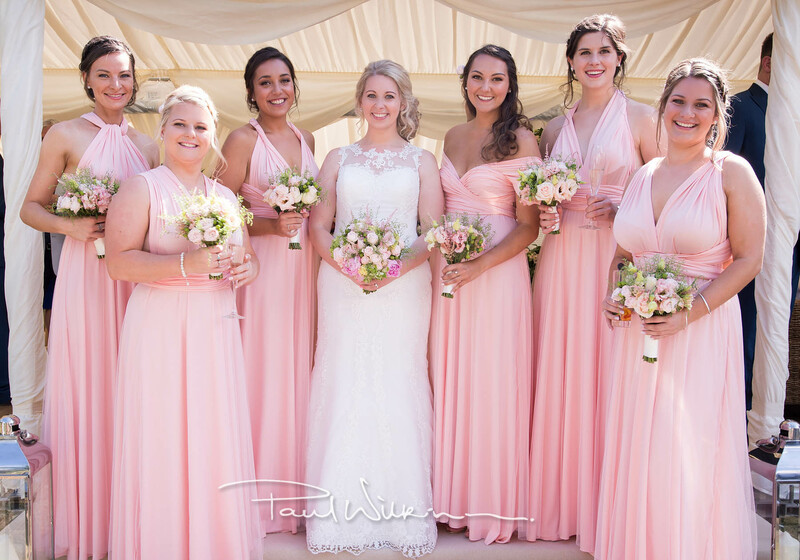 Rhiannon and Sam’s wedding reception took place in a pretty open sided marquee in the grounds of a local farm. 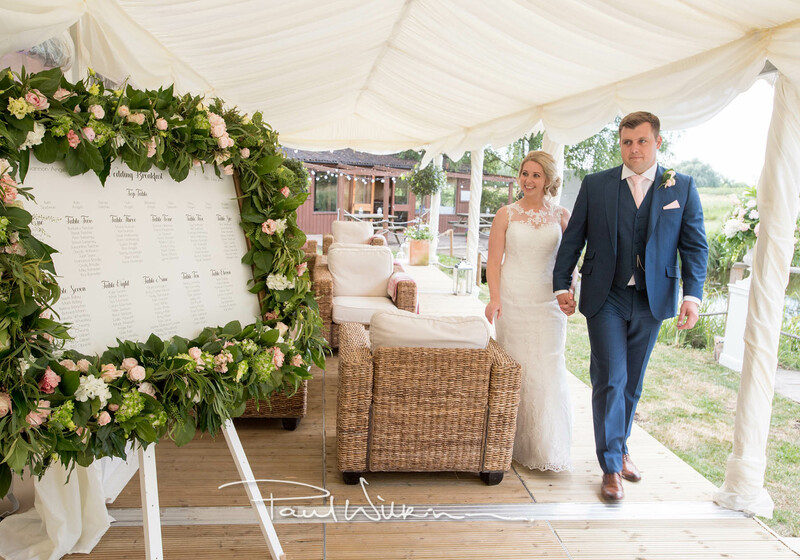 The marquee was beautifully situated overlooking a lake complete with outdoor decking area. 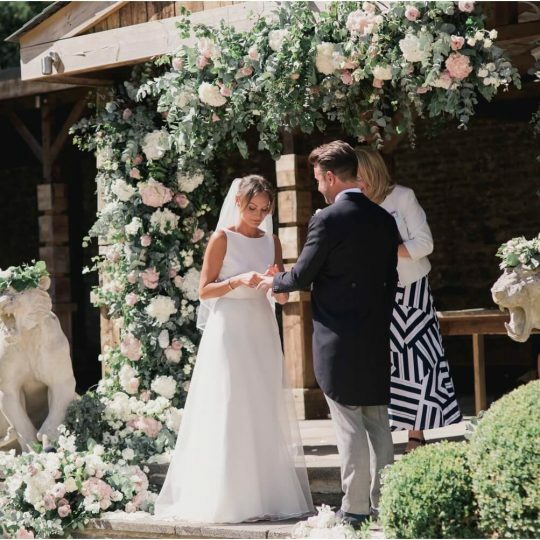 The tables had alternating silver rose bowls and tall silver candelabra with loose and flowing arrangements of roses, peonies, spray roses, lisianthus, hypericum berries, astilbe and hydrangea. Two large ceiling balls were hung from the roof of the marquee. 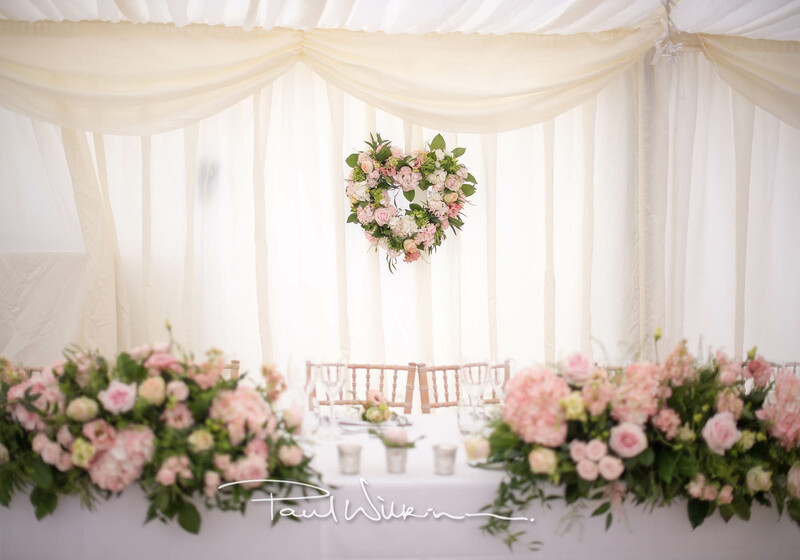 The top table had a stunning garland made in sections, complete with pretty floral heart hanging behind the bride and groom. 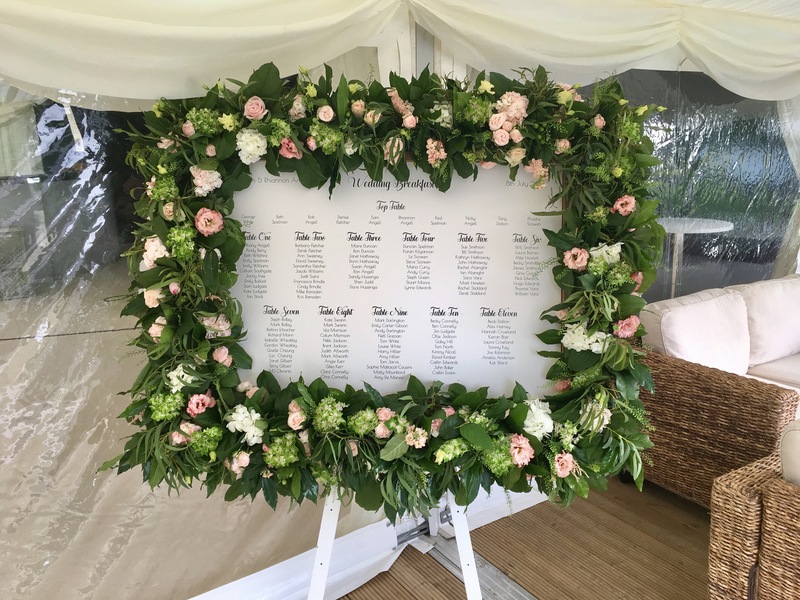 The entrance to the marquee had a stunning table plan with a luxurious flower and foliage garland. 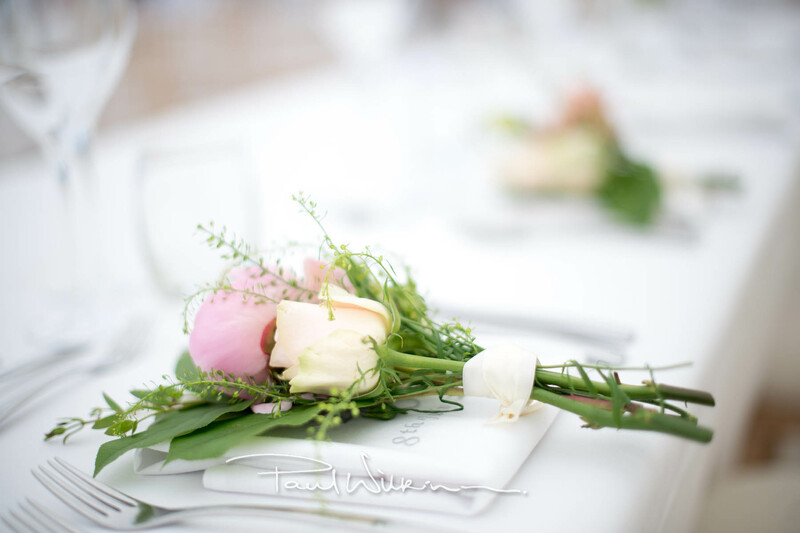 We placed small posies of flowers on the bride and groom’s place settings. 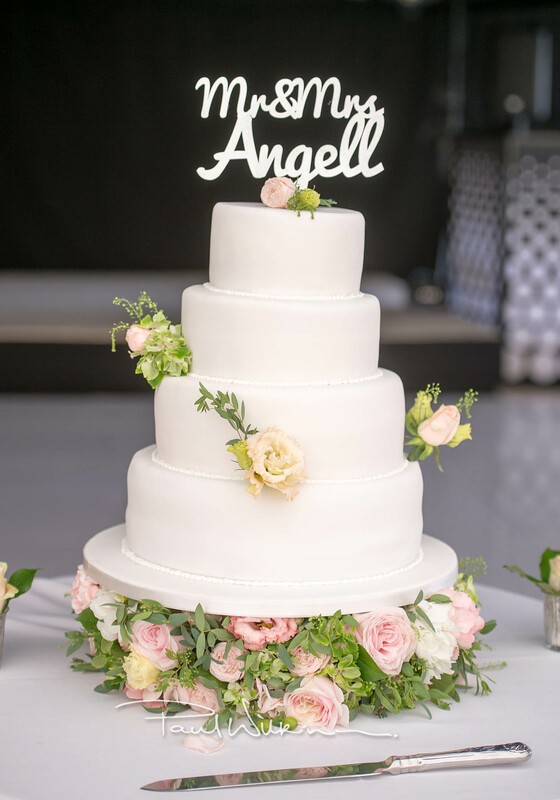 The cake was decorated with small clusters of flowers and sat on a flower filled plinth. 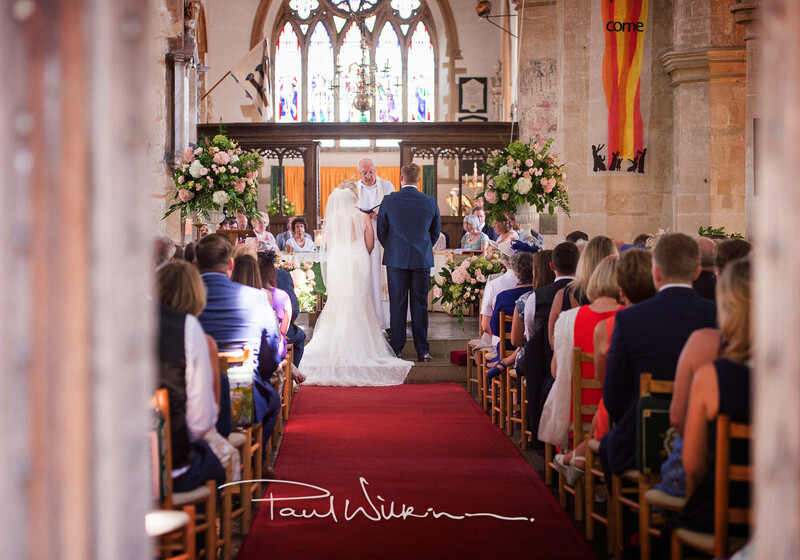 A big thank you to Paul Wilkinson for all these gorgeous images and special thank you to Sam and Rhiannon for letting us share all their photos and be part of such a brilliant day.